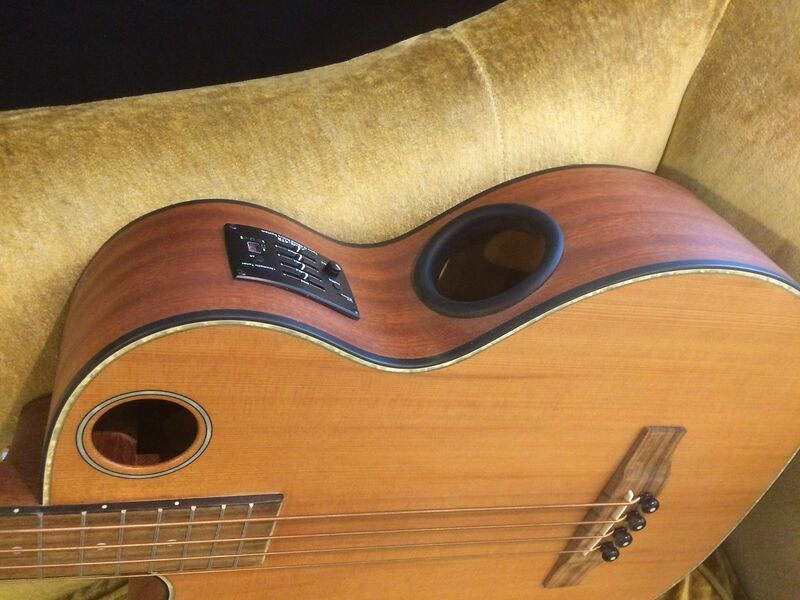 LeftyBassist.com • View topic - Boulder Creek acoustic, only $350... + bag + free shipping! Boulder Creek acoustic, only $350... + bag + free shipping! 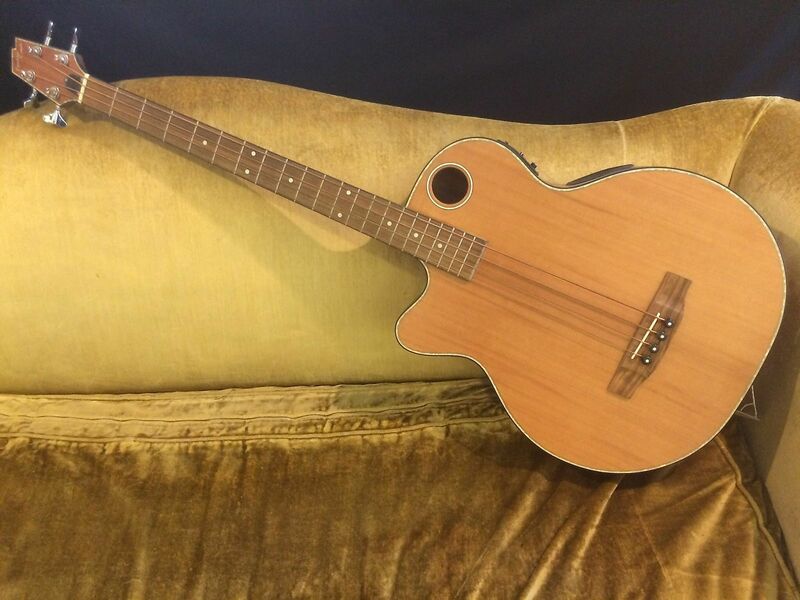 Post subject: Boulder Creek acoustic, only $350... + bag + free shipping! Guys, I play mine every day and it's fantastic. Sounds very, very good plugged in, too. This is a ridiculously good price! Well, I have always wanted one of these - and now I do! Negotiated with the seller, and got it for $385 shipped to Hawaii! It was a hell of a deal! I like that hole up on top, it'll make a nice beer holder! Awesome! You're going to love it. Have you gotten your hands on this bad boy yet? How are you liking it? Still waiting for it to arrive... Supposed to be here about the 19th. Will let y'all know when it's here! Good God, man, get some sleep! I am an musician... and an insomniac! Hey Paulo, the bass arrived this morning! First impressions are, it is beautiful, sounds good acoustically, and very good plugged in. Not a big fan of bronze strings... any suggestions guys on what type of low tension flats I can re-string with? I found TIs a little clanky on this one. Glad to hear it arrived and you like it! Tim like chromes and I like flats, I think they are both good options.